"JUST FOR YOU aka SAND WITCH" ~ by Elvgren (tm). 12x16 This is my very last one! A Rare Tashen Collector Portfolio litho Print. Rare 2009 one time issue, from an original painting, made circa 1960. Hurry we have only 1 left in this estate collection! Pinup Girl Playing and flirting on a rug. She shows a little peek a boo with lingerie under sheer see-through sheet Corset Lingerie, negligee with exposed stockings and garter belt. Less is more for the imagination in those days. 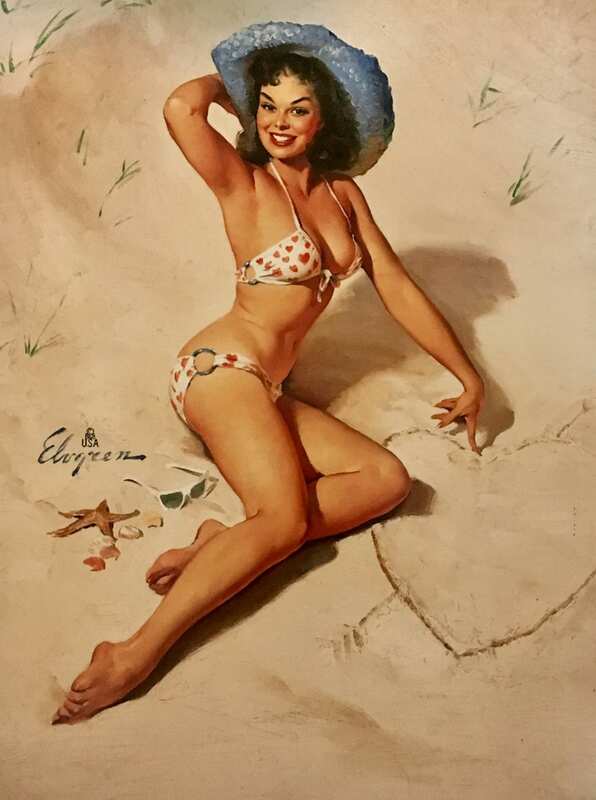 these pinups show us the life in the mid-century 1940s, '50s and early 1960s! Enjoy! Made exclusively as a limited release by Tashen on the license (c) B&B 2009.